Michael Mucha and Paul Nehm, employees of the Madison Metropolitan Sewerage District (MMSW), brought attendees of our October meeting a detailed look at the history of area wastewater treatment–a story intertwined with urban growth in the watershed stretching from Waunakee to Lake Kegonsa. The story of wastewater management begins 100 years ago as people moved to cities; its impact becomes clear when you consider the “watershed” year 2008, when half the Earth’s population was living in urban areas. Building Madison’s sewers was heavy labor conducted with block and tackle, shovels, and human labor assisted with horses. The East Side, like surrounding north Monona and Blooming Grove and other communities growing up at the turn of the 20th century, relied on sewer districts in conjunction with real estate development. On the east side, developers simply piped untreated sludge to Lake Monona from the houses they built for sale. Homes built outside these developments had a septic tank, if not an old-fashioned “back house.” Many of the houses built in the 1900s-1910s were constructed with the expectation of plumbing to be added later, when the homeowner could afford it. Middleton, Shorewood, and the mental hospital campus on the north shore of Lake Mendota all disposed of their waste in Lake Mendota. In the 1920s the conditions of Madison-area lakes became so bad that the city of Madison began looking at forming a sewerage district, but it took years for the details to be hammered out. The MMSD was formed in 1931. During the Depression lines were expanded and plants constructed using WPA labor, which required hiring of local men, at a minimum wage of 50 cents per hour. Paul and Michael brought a collection of 16 detailed scrapbooks showing construction of area pumping stations, construction and expansions at the Nine Springs plant, and other details of Madison’s sewer history. Pumping station 1 under construction on North First Street between East Washington and Johnson. 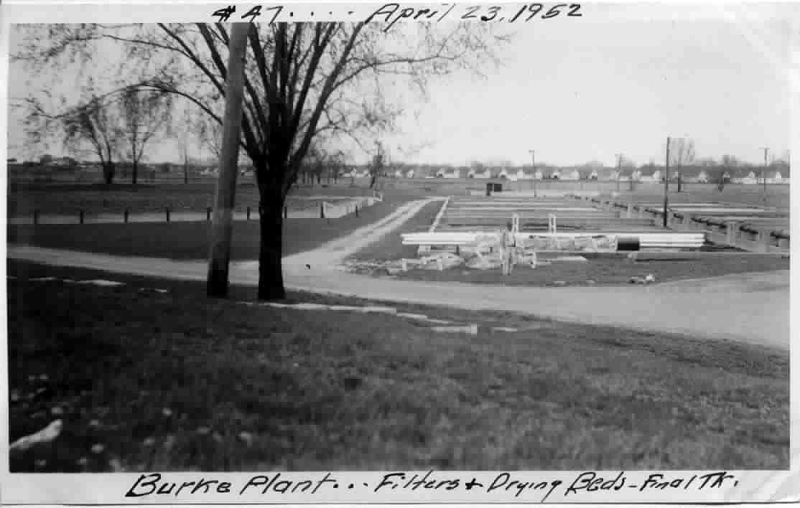 As Madison grew to the east, the Burke plant was built near Oscar Mayer on the site of the former Madison Airport. That plant reached capacity and was abandoned in 1936 after the Nine Springs plant opened. 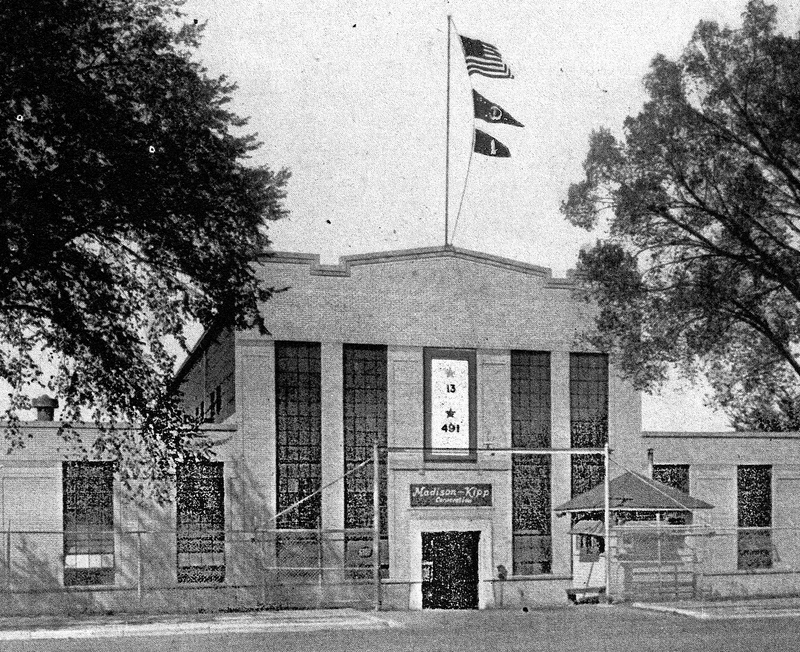 The Burke plant was reopened during World War II when a radio school opened at Truax Field expecting 16,000 students. Oscar Mayer took over operation of that plant after World War II ended. 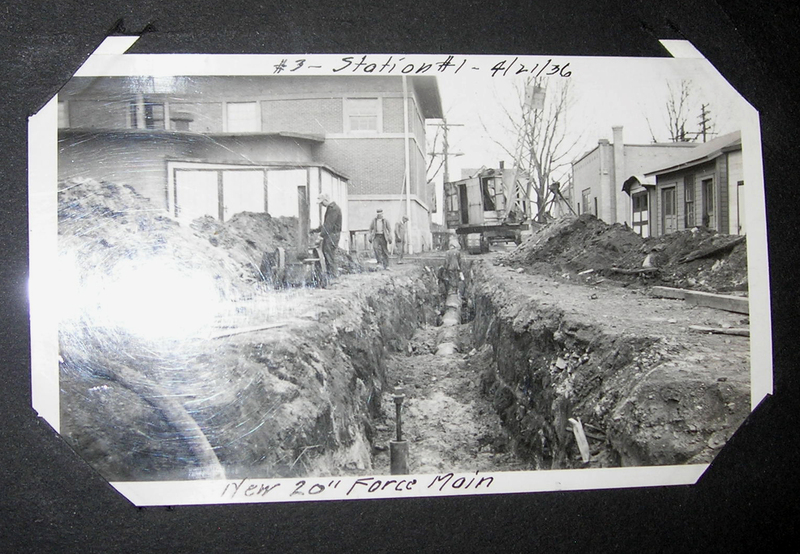 During the 1950s as Madison expanded, a five mile long pipe was built to carry the treated effluent from Nine Spring to release into the Badfish Creek south of Lake Kegonsa. That is the system that today keeps area lakes clean and Madison residents sitting pretty. 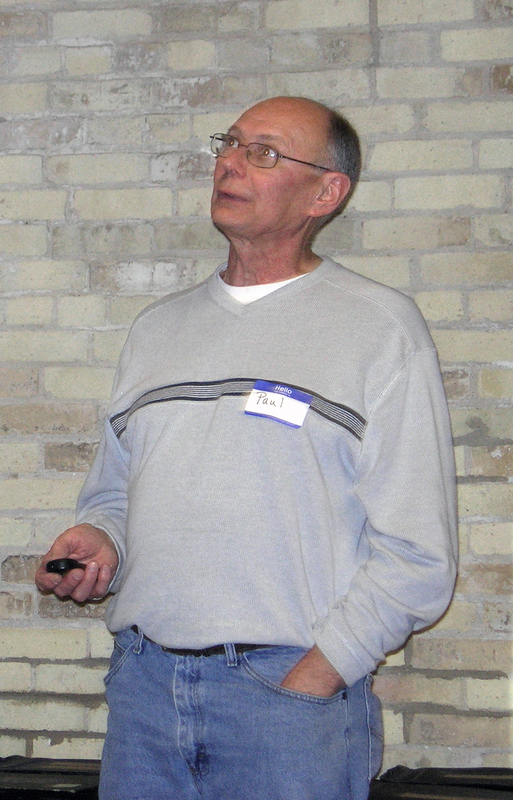 Paul Nehm described clouds of foam floating from the Nine Springs settling ponds over the South Beltline when non-biodegradable detergent was still in use. Once the environmentalism movement began to make headway, that disturbing sight disappeared. The MMSD has worked closely with the University of Wisconsin’s Engineering School to research and apply the latest technology in sewage treatment over the years, and that collaboration continues. Bus and walking tours are offered at the MMSD’s Nine Springs Plant. Over 2000 children visit each year. 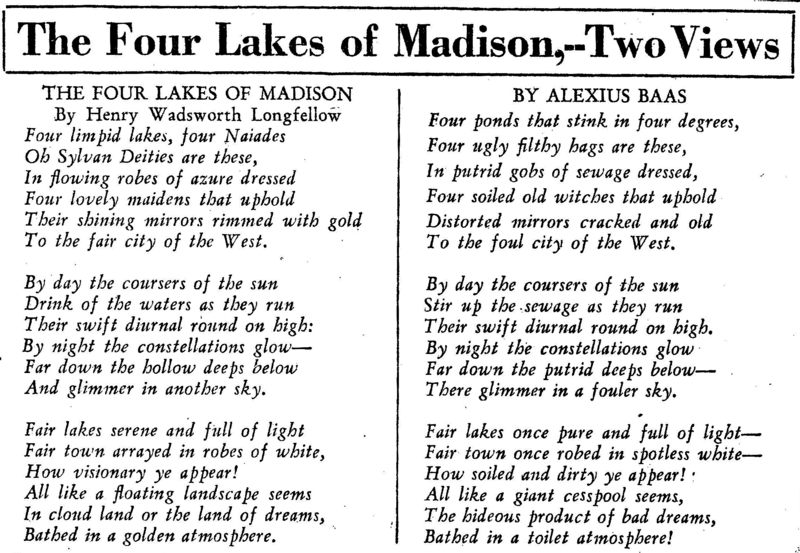 Among Nehm’s memorabilia was this excerpt from the Capital Times, June 13, 1931, in which local journalist Alexius Bass parodied a Henry Wadsworth Longfellow poem written about Madison in 1876. The East Side has had a long relationship with waste disposal and water quality management. 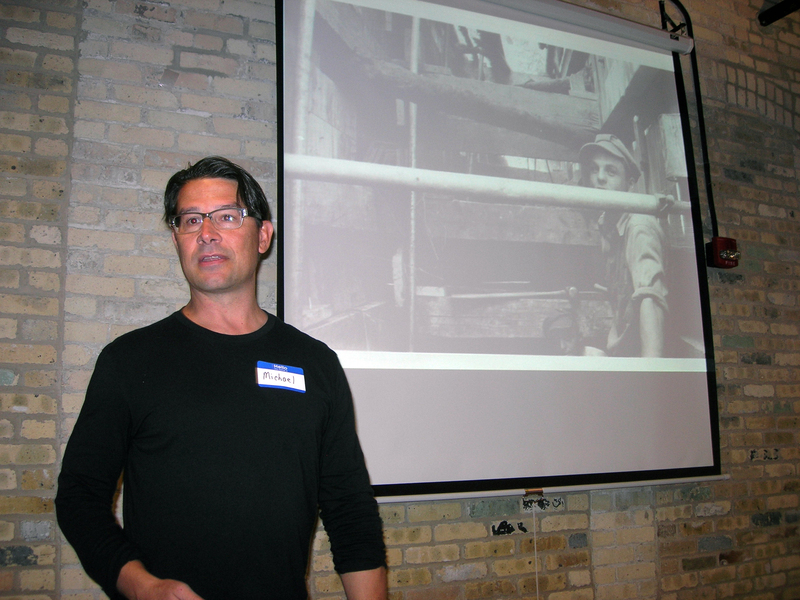 Presenters Michael Mucha and Paul Nehm will relate the story to Madison’s East side and Lake Monona, from sewage treatment’s humble beginnings to the present day. Historical artifacts will be displayed. Goodman Community Center, 149 Waubesa St.
On September 28th Marvin Leitzke spoke to our club about living on North Street during the Second World War when he was 10 to 14 years old. His father was the manager of the meat department at the Kroger Store, 2541 Winnebago Street. He prepared about 20 display boards for “show & tell”, one of which showed the various types of food and commodity stamps and tokens used to ration items during the war. 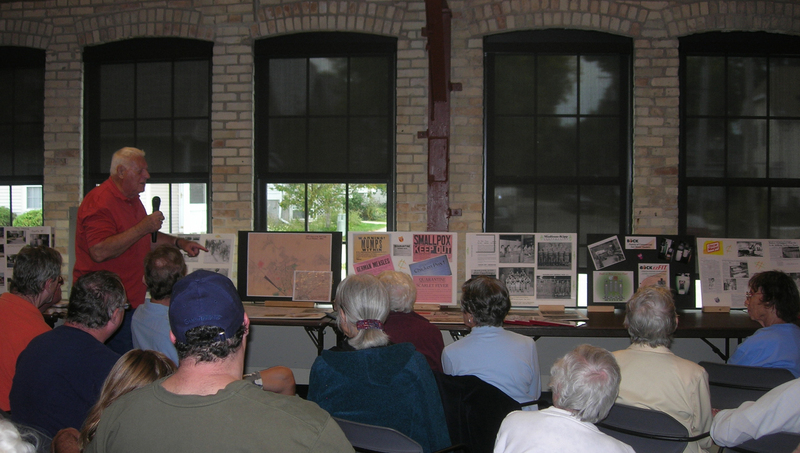 Marvin Leitzke shared memories and information about World War II-era Madison. He mentioned that his wife’s family was forced to move from their house when Truax Field wanted the land to expanded. He asked “Where were you on Dec. 7th, 1941 when you heard that Pearl Harbor had been attacked?” Marvin was coming out of the Orpheum Theater after watching Abbott & Costello in “Keep ’em Flying”. One of the attendees, Eldon Hoel, spoke up and said that’s where he was, too! Also mentioned were the near east side businesses that produced for the war effort, especially Madison Kipp, Ray-O-Vac and Oscar Mayer. The Madison Kipp factory produced war materiel. Marvin explained that during the war families put a banner in their window with one or more blue stars for members who were serving in the armed forces and/or a banner with one or more gold stars for members who had been killed in the war. Madison-Kipp also displayed a banner on the front of their building in 1945 with a gold star and the number 13 and a blue star with the number 491.